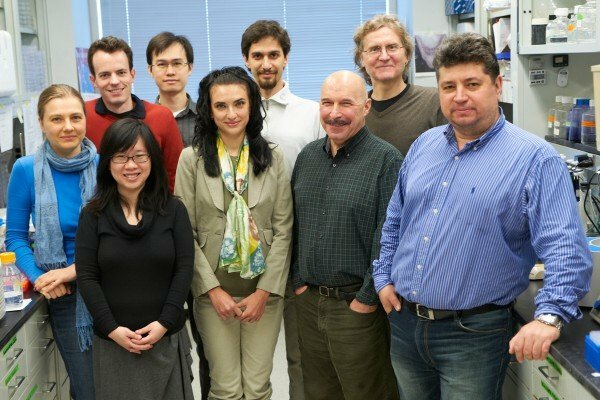 Research in our laboratory aims to characterize the molecular mechanisms underlying cell-to-cell interactions and signal transduction across the cell membrane. We are particularly interested in understanding how receptors located on the surface of developing axons and neurons interact with extracellular ligands to guide the development of the nervous system and the wiring of the brain. 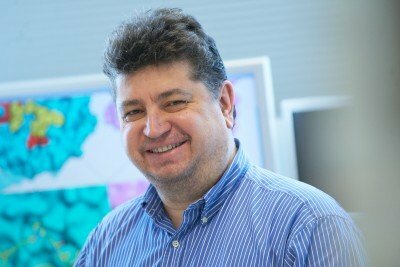 Structural biologist Dimitar Nikolov focuses on the structural, biophysical, and biochemical characterization of the molecular mechanisms of cell-cell interactions and signal transduction in the nervous system. Barton WA, Dalton AC, Seegar TC, Himanen JP, and Nikolov DB, Tie2 and Eph Receptor Tyrosine Kinase Activation and Signaling, Cold Spring Harbor Perspectives in Biology: “Signaling by Receptor Tyrosine Kinases” edited by Joseph Schlessinger and Mark A. Lemmon, Cold Spring Harbor Laboratory Press, ISBN978-1-936113-33-0, pages 287-303, (2014).